The Intruder is an alien being of unknown power. During the course of the game the Intruder will move through the space station as both the hunter and the hunted. One or more players must cope with a monster that moves rapidly and changes continuously as it undergoes metamorphosis into a more powerful being, and possibly divides into two or more clones. 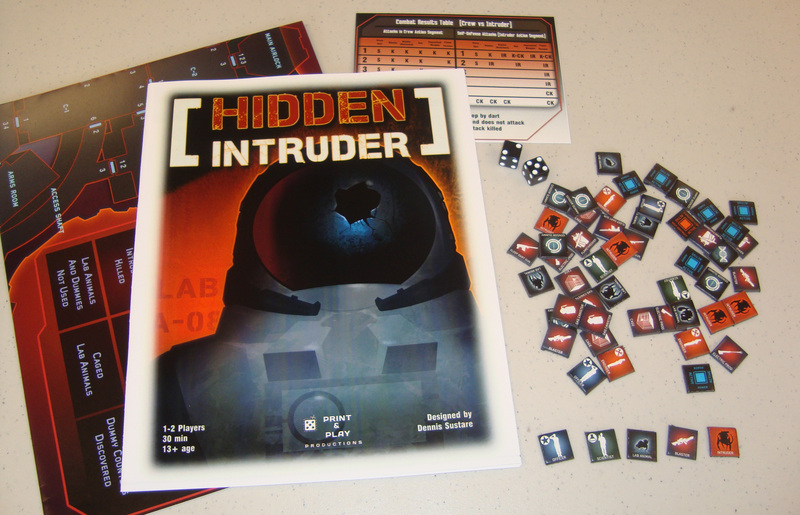 Hidden Intruder is a solitaire game - BUT it has 3 "scenarios" or different ways to play that allow for 2-3 players to play. 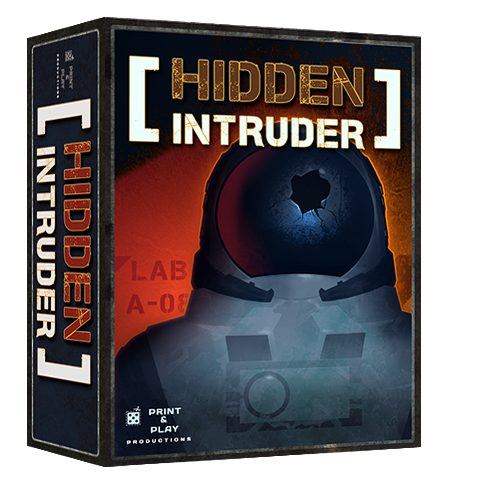 The game includes 54 counters representing the crew and their weapons, lab animals (which confuse the search) and the Intruder. The playing map shows in detail the interior of deep space station 'Prometheus'. The map also contains special charts to record the development of the Intruder. -Basic - A 22" by 17" paper map in a ziploc bag with counters and rules. -Classic Boxed Set - The Basic set a box. -Deluxe - A 22" by 17" paper map in a box with fully stickered 5/8" wood blocks for the counters and rules.